When you are coming up with the proposed shot list for your wedding photographer, the couple will surely take center stage. However, there are other photos you will want to make sure you capture. You will surely want to capture images of the bridal party, but these aren’t the images we are talking about; although you should absolutely capture theme images. We are talking about guest photos. Presumably, these guests were invited for a reason. Make sure to capture them in these candid photo suggestions. Did you invite people that belong to special groups in your life such as fraternity brothers or sorority sisters? You will make sure you want to capture them together to remember that moment, even if they weren’t a part of your bridal party. Don’t forget about the candid shots! Posed shots are just that posed. However, candid shots capture the true feeling and energy of your wedding. Make sure your photographer gets these as they are likely to make you laugh many years down the road. If you really want to capture the best of candid wedding shots, make sure you have a photobooth at your wedding. 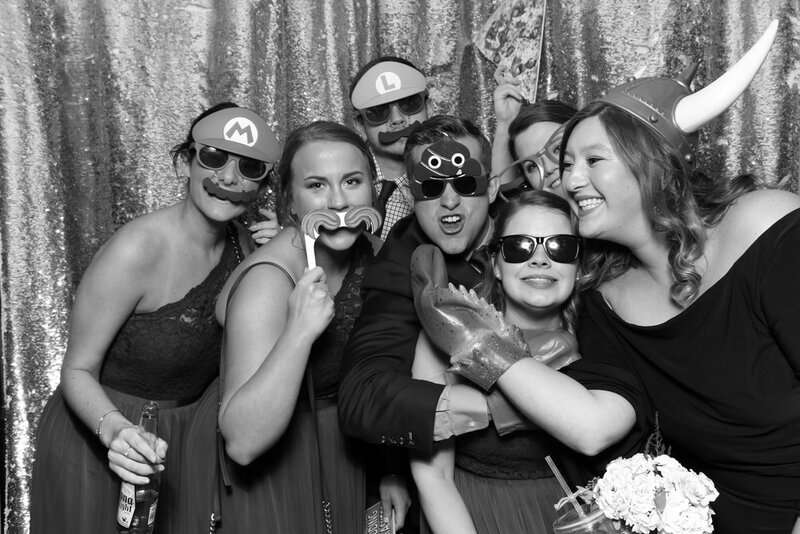 Photo booths allow guests to “let their hair down” and just have fun. 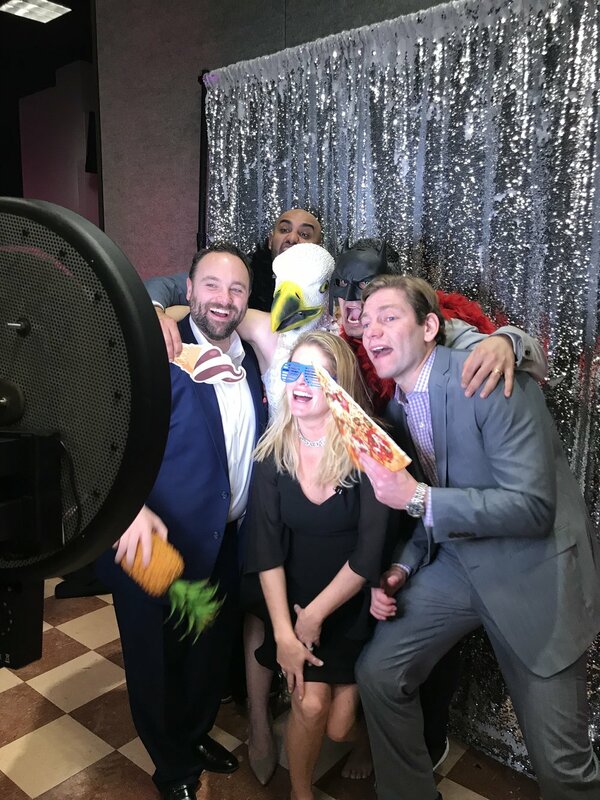 You are sure to find gems amongst the photos captured by a photo booth. Make sure the photobooth has plenty of props for even more fun! A brand is not just a product; it’s also the overall experience of interacting with a business. Photo booths bring a brand to life. As the industry advances towards iPad booths, nicknamed by Dave as, “the Swiss army knife of booths,” the arsenal that comes with these photo-marketing tools has never been better. Photo booths offer the opportunity for a company to “wrap” their logo, name, features, etc. all over a booth. This helps engage the users before they even get a chance to play with it. The user then participates in the second layer of branding, the overlays and logos that are pasted onto every photo taken. These pictures are sent out, shared, liked, all across the globe, constantly being viewed by different faces and people. You want a gallery at your event? You got it! Software offers the option to slideshow your pictures all across your event, a constant engagement with your audience. A good brand will only ever be good, but a great brand will speak for itself. A picture is worth a thousand words; post that picture to social media and suddenly that thousand turns into hundreds of thousands. Digital content is the wave of marketing, a platform that has neither boundaries nor ceilings. The photo booth simplifies that process to the max. With one click an image is sent to a user, then uploaded across multiple platforms. Suddenly, your company’s logo, name, and information are spread across the globe. The image can then be shared, re-tweeted, downloaded, liked, all without a single extra effort on your part. Your name is constantly plastered across multiple screens, the flexibility that arises from that gives you the creativity to separate yourself from other brands. A memorable image carves a much deeper impact than an ad placed at the bottom of a website. The photo booth gives you the parts and the user builds the car and drives your brand. Social media is a web of interactions. Connect with one person and fifty more emerge because of that. With the increase of social interactions comes the increase in size of networks. Written contact books are a thing of the past, now a common user on Facebook will have over a thousand friends. “Posts find a way to get in front of people who have never heard of you, different people share with different networks, new networks lead to new faces,” Dave emphasizes. Think about that for a second. Shelly from Idaho shared a photo from your event, but her mom who lives in California just shared Shelly’s photo to her own friends, that’s a thousand impressions doubled just from one click. Two thousand people viewing a photo with your brand name and logo on it, that’s quite an impression! Today’s consumers are filled with more information than ever, after being bombarded with ad after ad the information begins to enter one ear and leave the other, hardly leaving a thought in the persons mind. Photo booths break through that fog, the Trojan horse of marketing! Users takes funny photos, shares them online, and before they know it, it has contributed to a marketing campaign that stretches infinitely across the globe. David says, “You want other people to be a social influencer for you, because you are more likely to buy a product from a friend’s referral than from an ad you saw on your television.” The approach leads to a genuine share of your product, not a forced recommendation or a lousy review brought on by an incentive; a consumer who had fun interacting with your brand. “Think of a post as a positive review, the person is comfortable enough with your brand to have their name coincide with it,” Dave points out. A name is a lifetime brand that a person carries, for a brand to promote another brand? Priceless. One of the hardest things about branding is the amount of people it takes to manage the process. It takes work hours to put together articles, run social media pages, and be out promoting. Photo booths cut down on the people needed for that process to happen to virtually none. Based on preference, an owner can choose to have the booth run on a stand or have the iPad used by a freelance photographer, either way usually one or two people are needed AT MOST. Todays software allows for the owner to create their event on a website then run their event through a tablet, all they have to do it set up the event and run it! The simplicity gives ease to the owner and the employees, all the while allowing them to interact with their audience. Being able to focus on the consumer rather than the equipment allows for a better representation and better experience for the user and the business. You are your brand. The saying resonates with the business owner and the consumer. There is no slowing down the information we receive, but there are ways to make it memorable. The Photo booth provides the experience along with the information, and the business with the pleasure. If a picture is worth a thousand words then let the Photo booth be the author by writing a marketing masterpiece for your brand. Come support the hound hunt, or if you don't have a dog sponsor a volunteer so a shelter dog can run in the race for a day. Come stop by Fishtown Animal Hospital on April 30, 2017 from 12-2p to say hi and get your picture taken and support an amazing cause Citizens for a No-Kill Philadelphia oh yea besides all the FUN there are prizes! We are going to be hanging out at the 2016 Philadelphia OUTFEST with Temple University Hospital on Sunday October 8. We will be having some fun with our #phillygif stand. If your going to be in the hood come and try out the #phillygif stand and email yourself your gif movie. So on May 21, 2016 we set the Insta Shack Trailer up at the Preakness at the Piazza event benefiting the MS Society. It was a beautiful day however just when the event was about to start the rain started to flow. Thank goodness we brought two of our GIFpods with us so that we could catch all the action under the tents. It was a great experience with meeting so many wonderful people and being able to give back to such a great non profit. So on Valentine's Day (02/14/16) we will be setting up at the Fishtown Animal Hospital at 233 E. Girard Ave. The "Pawty" will be from 12pm-4pm. There will be snacks, refreshments, and goodie bags! All are welcome to come! We will be offering the Photo Booth in which photos will be $5 and all the proceeds will go to The City of Elderly Love, a non-profit organization. Right now you might be saying, oh man I don't have a pet.... well there will be plenty of love and surprises with whom you might want your picture with. Come check it out and join in the FUN!